T-moulding seamlessly bridges the gap between two floors of equal heights. The durable finish coordinates with the Heritage Mill Cognac Birch Hardwood Flooring.. Molding is made of solid wood with a coordinating stain. 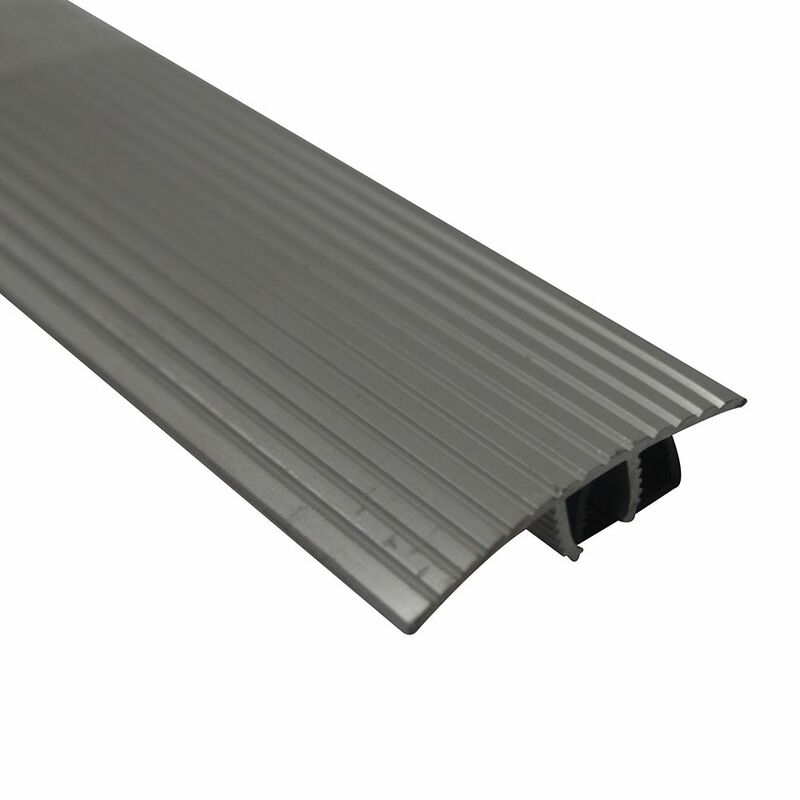 This moulding is proudly crafted in the U.S.A. from wood grown and responsibly harvested in the U.S.A.
Cinch SnapTrack T-Moulding36 Inch Satin Silver Bridges gap between similar height floors. Easy to install - no fasteners required. Provides smooth transition between adjoining floors.